I’ve learned plenty of languages. I am fluent in English and Spanish. I speak French quite well and I will never go hungry in Italy. I’ve also learned enough Croatian, Mandarin, and Hungarian to at least order a glass of wine. I will tell you right now that Portuguese has been one of the most challenging languages for me (right after Hungarian). It ain’t easy. I’ve been on a strict regiment of daily Iberian Portuguese learning that includes Memrise and the Portuguese with Carla podcast. 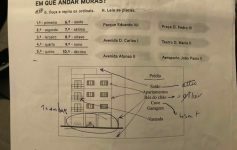 I find the thing that really allowed me to break through Iberian Portuguese learning is the Portuguese Classes in Lisbon that I am taking with my teacher Nuno. I highly recommend his classes. He charges €15 for 1-hour one-on-one training. He got me to the point where I felt comfortable taking the A2 Ciple Exam for Portuguese residency. I haven’t gotten my results yet, but I am certain I passed. If for whatever reason you can’t book classes with him, here is a list of some of the highest rated Iberian Portuguese classes in Lisbon. Nuno is my teacher and I would start off with him. He is not just a local teaching you Portuguese. He is a local who has intensive education in languages and language learning methods. Nuno teaches in Lisboa, will come to your house or meet you out somewhere. He is patient and really takes the time to make sure you understand the nuances not just of Iberian Portuguese, but Portuguese spoken in Lisbon. Cost: €12 for 1-hour private classes. They have lots of different options for Portuguese classes. You can take classes with a private tutor, online lessons, part-time learning and more. Great choice if you need flexibility in learning. Cost: €30 for a lesson with a private tutor. DM on his Facebook page works. He’s not much of a Facebook guy, but he is quite responsive to messages. Hi Teresa. Just saw your message. You can contact me or Whatsapp me. My phone number is +351 914159615. I have been fairly happy with the online premium course offerings of the Camões Institute, though there have been some technical issues. What technical issues did you have? My mom signed up for the free online classes offered by Portugal and she found the site to be buggy at best. Pingback: Do I Need to Speak Portuguese When I Come to Lisbon?